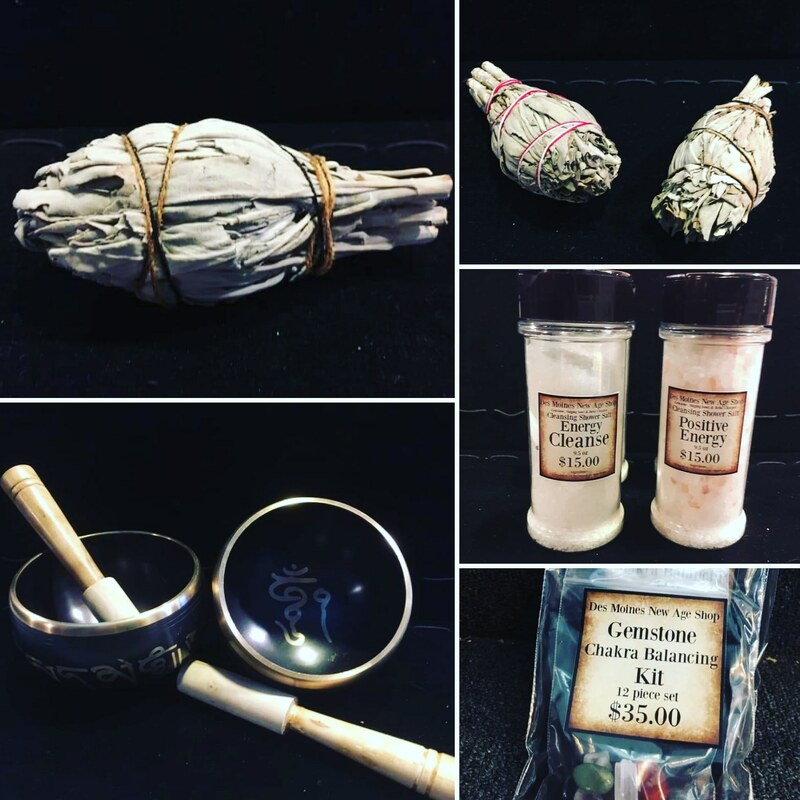 Singing bowls, Showersalts, Lavender brushed Sage, Chakra Crystal kits all came in at the Shop!!! We have more of our Inhouse made #cleansingshowersalts , #himalayansingingbowls , #chakrabalancingcrystalkits , and 2 new varieties of #essentialoil brushed #whitesage at #desmoinesnewageshop !!!!! Previous PostPrevious Restocked on Sage at the Shop!!!! Next PostNext New Joy rings & Altar Tiles in at the Shop!!! !